A common consumer makes a car purchase by determining the maker of finished vehicles such as Hyundai Motors or Ford, not by figuring out the manufacturer of each auto part. As an auto part maker, DSC may sound unfamiliar, yet, as the auto seat frame supplier that determines comfortable and safe riding experience, DSC holds a powerful position in influencing the overall performance of a car. Reflecting the lightweighting trend of the auto industry and the rise in the level of seat frame strength for stability, the importance of lightweighting and strong seat frame material and technology is becoming increasingly apparent. 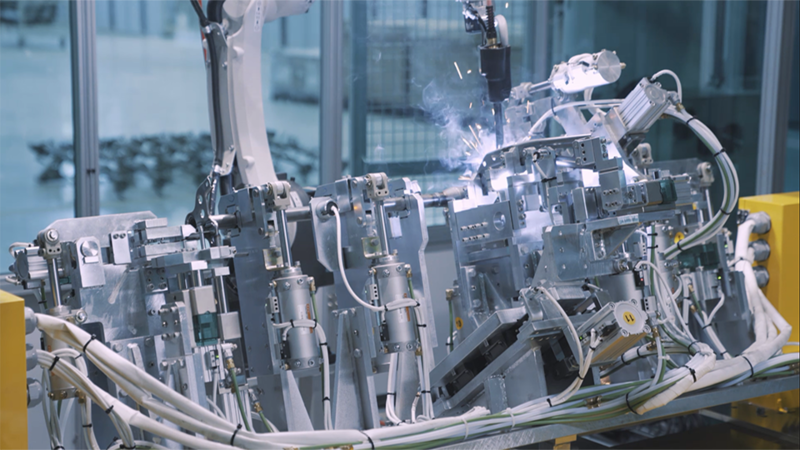 POSCO Newsroom covers the scene where future cars are created— with DSC’s unceasing efforts in innovating lighter and stronger cars and POSCO, the manufacturer of “Giga Steel”, also referred to as “Dream Steel” that materializes these efforts. Which is a better pick? A light car for fuel efficiency? Or a car highly resistant to impact? The answer is both. Beyond the economic advantage of the consumer, reinforced environmental regulations along with raised awareness of environmental impact has caused the automotive industry and its consumers to regard lightweighting as a priority. Yet, it is also inevitable to seek out a strong car for passenger safety. DSC has prioritized developing ultra-lightweight, high-strength seat frame, what all drivers and finished auto manufacturers yearn for. The first-generation through currently commercialized third-generation frame has seen through quite an innovation. 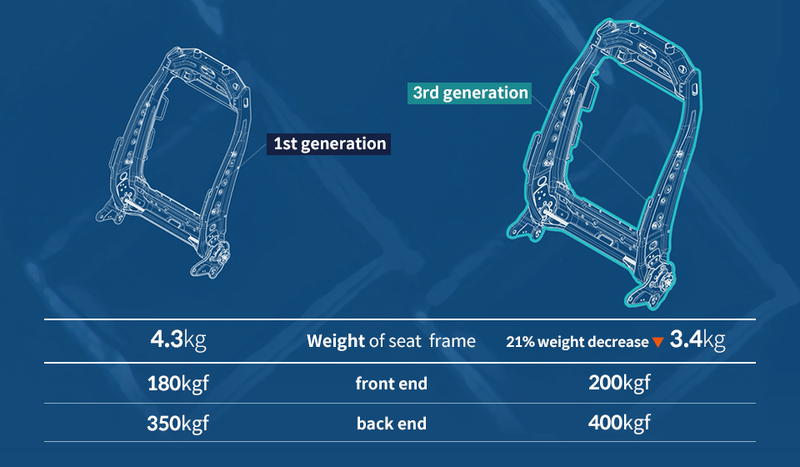 DCS’s third-generation seat frame has decreased in weight by 21% compared to the first while the strength improved highly with the application of POSCO’s Giga Steel. To figure out how ultra-light and high-strength seat frames are originated, POSCO Newsroom paid a visit to DSC’s Head Office located in Gyeonggi-do, Korea. State-of-the-art equipment galore at the Pilot building where skilled engineers run elaborate tests and benchmarking while labs are running varied simulations based on blueprints. Dong-su Kim, the head of of Global Support Office at at DSC referred to POSCO’s Giga Steel (resisting pressure of one gigapascal) as one of core solutions to DSC’s ultra-light, high-strength seat frame. 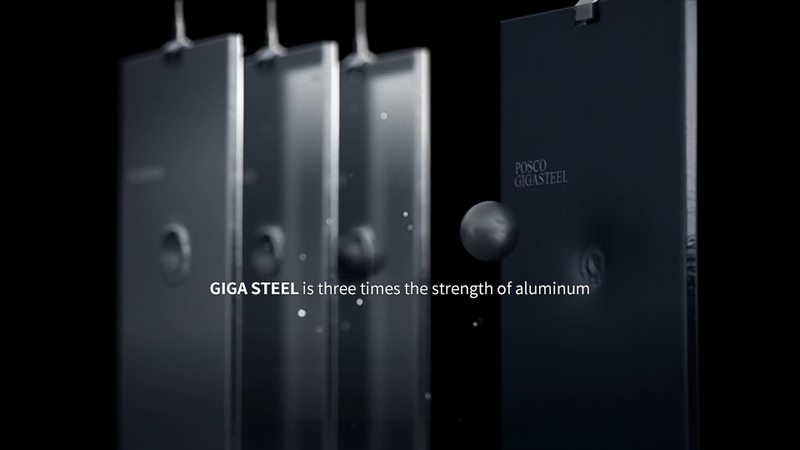 By applying POSCO’s ultra-strength Giga Steel, less amount of steel performs the same amount of intensity. Thus, a lighter, stronger, and safer seat frame can be produced in comparison to what regular steel can offer. DSC’s exclusive low-temperature welding technology that enables its unique high-strength seat frame was observed with the naked eye. Its low-temperature welding drastically improved regular laser beam welding that is less cost-efficient and difficult to modify. Through establishing its own seat frame technology, exclusive to the domestic market, DSC increases both the quality and stability while being adaptive to the changes in automotive manufacturing technology. POSCO’s Giga Steel is an ultra-high-strength steel plate that can withstand 1,500 units of 1-ton-worth compact cars on the size of a palm. Stronger products can be crafted with lesser weight, making it especially popular as a lightweight automotive material. DSC is also actively adopting POSCO’s Giga Steel as the ultimate lightweight and high-strength material for seat frames. Recently, DSC and POSCO have taken their technological cooperation to the next level—next-generation ultra-lightweight seats making maximum use of Giga Steel. Already captivating the auto industry, this new seat frame evolution prides in using both companies’ cutting-edge technologies. POSCO Newsroom has observed endless innovations in the making of light and strong cars, and heard stories of people who make dreams come true right at the scene. With DSC seeking perfection even in unseen areas, along with POSCO, the dream material, “Giga Steel” creator grasping the hidden needs of the manufacturer and the end consumer, the future of their bonded efforts is highly anticipated.